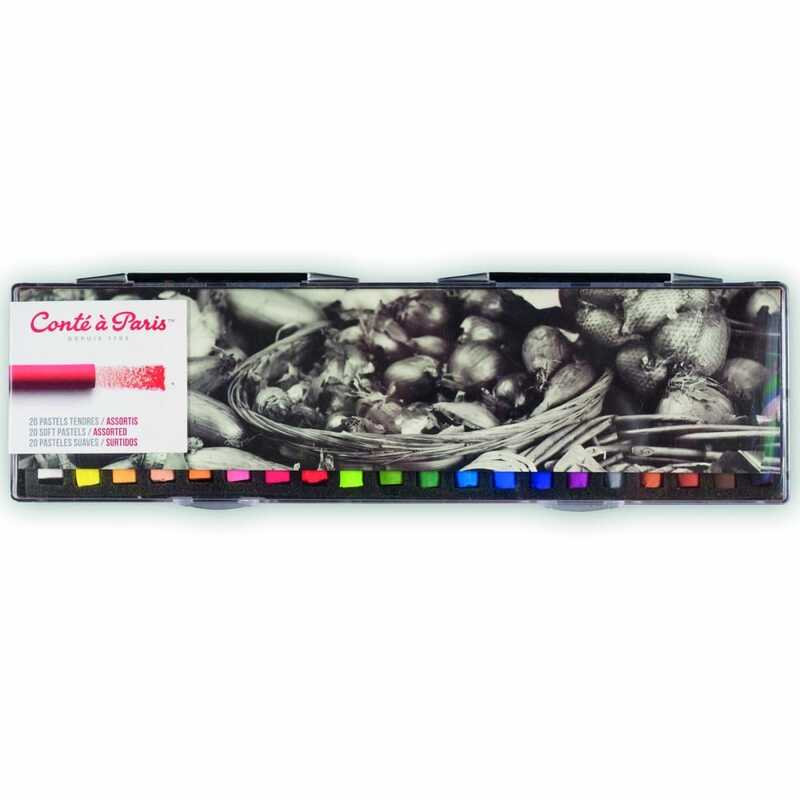 These Conte a Paris Soft Pastels have a round shape making them ideal for everything from coloured backgrounds to more colour filling. Each pastel features carefully selected chalks and clays, exceptional brightness of colours, a creamy texture allows exceptional flow of application to enable better expression, spontaneity and versatility they contain a high grade pigment to give brighter, stronger and cleaner colours. This set contains 20 assorted soft pastels and each pastel is 10 mm in diameter and 65 mm in length.